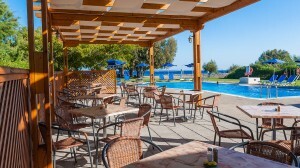 Stafilia Beach Hotel | Your ideal, beach-front, choice for value holidays in South Rhodes …with a personal touch! with separate section for children. at the south part of the island of Rhodes, with 52 rooms in five small buildings.. Guests may choose to stay on bed & breakfast or half-board basis. Main restaurant serves breakfast, lunch and dinner. Snack bar by the pool serves light snack dishes, salads, and drinks. Indoor main bar serves guests when weather conditions do not permit the operation of the outdoor snack bar. Swimming pool (120 sqm) with separate section for children. The seaside is directly in front of the unit and the beach consists of small pebbles. The lush gardens are a prime characteristic of the unit, with pine trees that provide ample relaxing shaded areas between the property and the beach. Distances from major resorts: Lindos 8Km, Kiotari 1Km, Rhodes 55Km. Rhodes is an island blessed by Nature with over 300 days of sunshine per year and a unique variety of landscapes and colours: From cosmopolitan sandy beaches to well hidden magnificent bays, blue crystal clear sea and sky and green quiet hills and valleys. But also, Rhodes is an island blessed by history with three ancient cities, a medieval town, being a World Culture Heritage Site, seven medieval castles, and neoclassic mansions. Rhodes is an island to explore! Here are some hints & tips about the spots we suggest you to visit during your holidays in Rhodes. 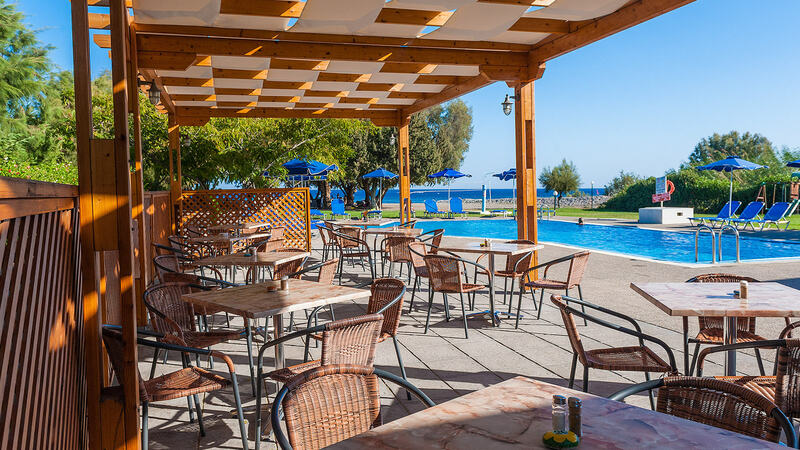 © Stafilia Beach Hotel 2014. All Rights Reserved.